A CBT Test in London is the first stage of training when learning to ride a motorcycle. It stands for Compulsory Basic Training and it is technically not a test but a day of instruction with the end goal of making you safe on a motorcycle on the road. 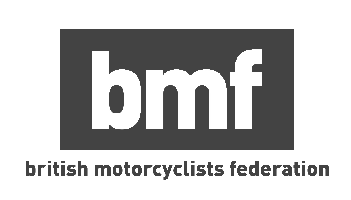 A CBT is the necessary licence for any rider on two wheels. You will be able to find out more about what is a CBT Test here. London offers a full range of CBT Test locations from South London to North London, East London to West London. If you are looking for a beautiful location then Richmond is the perfect place for you or if you want to get practised at the city bustle then Walthamstow may be the best location. If accessibility is your priority by tube then Edgware, Wembley or Tottenham is perfect. Alternatively, by road, Shepherd’s Bush, Maidstone or Watford give you a perfect suburban experience when you train for your motorcycle CBT Test. Where we provide CBT test training? We have 19 CBT test training sites across London and the Greater London area. All of our London CBT test sites are easily accessible with excellent transport links and service areas including Edgware, Wembley, Shepherd’s Bush, Richmond, Hounslow, Croydon, Crystal Palace, Lewisham, Sidcup, Orpington, Thamesmead, Dagenham, Watford, Sidcup, Tottenham, Ilford, Feltham, Maidstone and Walthamstow. All of the information regarding the training sites’ location and transport links can be found by putting your postcode into the search bar above. If you’re looking for a CBT Test in London and there aren’t any of our partner sites that are convenient for you then feel free to contact us and we’ll be happy to answer any questions you may have. Want to find a CBT Test near you? RideTo helps new riders get on the road. We’re here to support your journey to 2 wheels from your very first lesson through to your full licence and first bike. Learn about the different motorcycle courses on offer and choose the right one for you. Find professional, qualified motorcycle schools based on reviews and location. Best price guaranteed and 3 day free cancellations* for total peace of mind. * A minimum of 3 working day’s notice is required. Please see our full terms for details. Choose a motorcycle training course that suits you, whether you’re a complete novice or looking to get back into the saddle again. Getting on two wheels doesn't need to be complicated. Use our getting started quiz to get your tailored guide to learning to ride.